Thinksound ts02+mic review | What Hi-Fi? It’s not very often that we test products marketed as ‘eco-friendly’. 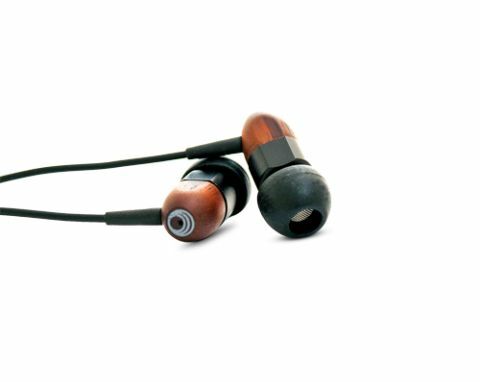 But there’s something admirable about Thinksound, which makes headphones with an environmental conscience. The packaging is completely recyclable, the carry pouch is made of cotton, and the earphone casing is made from renewable wood. Even the cabling is PVC-free. We only wish they’d gone the whole way and included a tiny wooden clothes peg instead of a standard plastic cord clip. But of course, it's the sound that matters most for us, and the Thinksound ts02+mic buds don’t disappoint. This is an insightful pair of headphones, with impressive clarity and detail. They’re rather well balanced, tipping ever so slightly towards a crisp high end. That said, the midrange is revealing, while the bass is tight and punchy. If you’re inclined to crank it up, these Thinksounds stay very composed. They also display a good sense of timing, which makes for an entertaining listen. However, they’re not quite as engaging as the Award-winning Beyerdynamic MMX 101 iE, whose sound is weightier and more substantial. They also offer a little more in the way of subtlety and delicacy. The Thinksound earphones favour a more analytical approach that feels competent, if a little clinical. That’s not a deal-breaker though. The ts02+mic heapdhoness are never less than enjoyable to use, not least because of their lightweight build and comfortable fit. Factor in the lovely wood-and-metal styling, and these buds present an attractive – and green – option.